Liz LaBonte has an MS in Labor and Industrial Relations and is a Human Resources Business Partner in Employee Relations at Concord Hospital in New Hampshire. 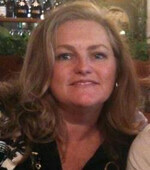 She has over 20 years of experience in a variety of human resources roles. Currently she resolves employee relations issues, consults in evaluating and investigating employee allegations, and coaches managers to ensure that their decisions support the organizations culture, values and service behaviors. She uses relevant employee laws and HR best practices to influence managerial decisions and improve the experience of employees across the organization. Liz also maintains an effective employee recognition program. Liz has a long-term interest in the cognitive research, neuroplasticity, and the therapeutic applications of meditation and mindfulness, especially with soldiers dealing with PTSD.